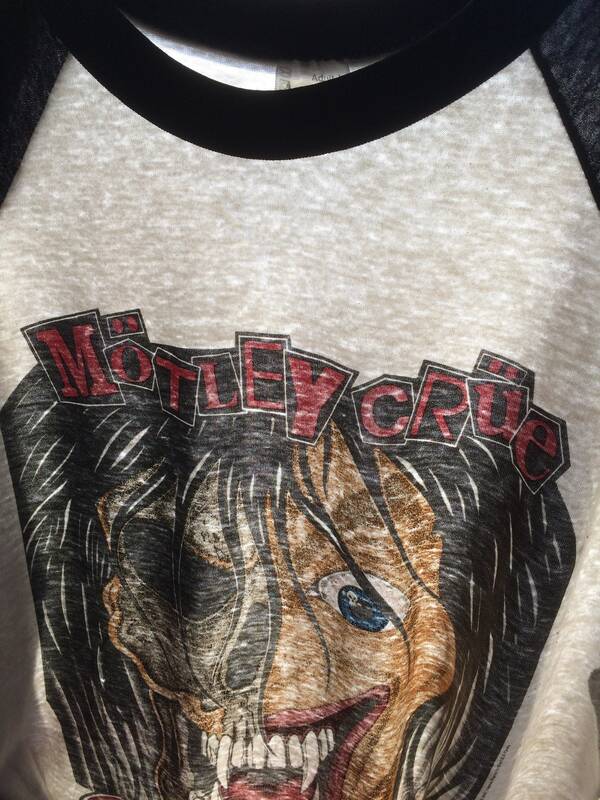 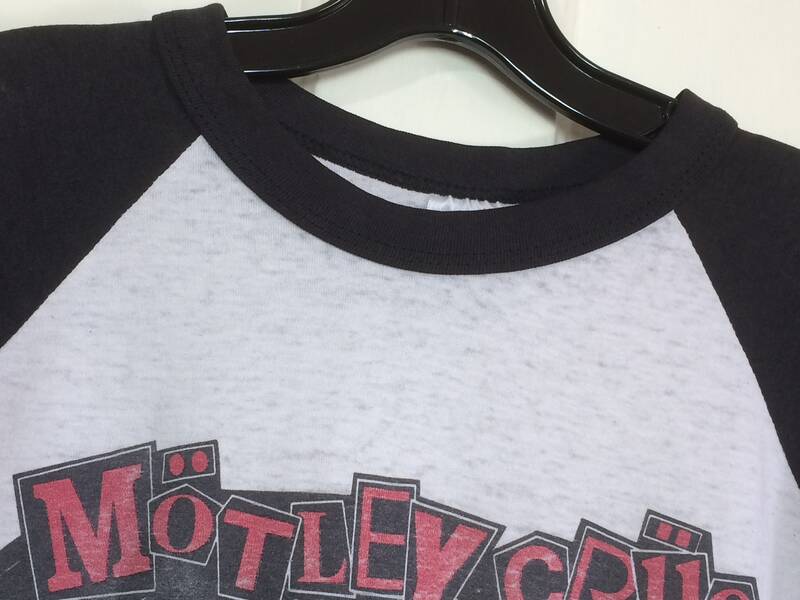 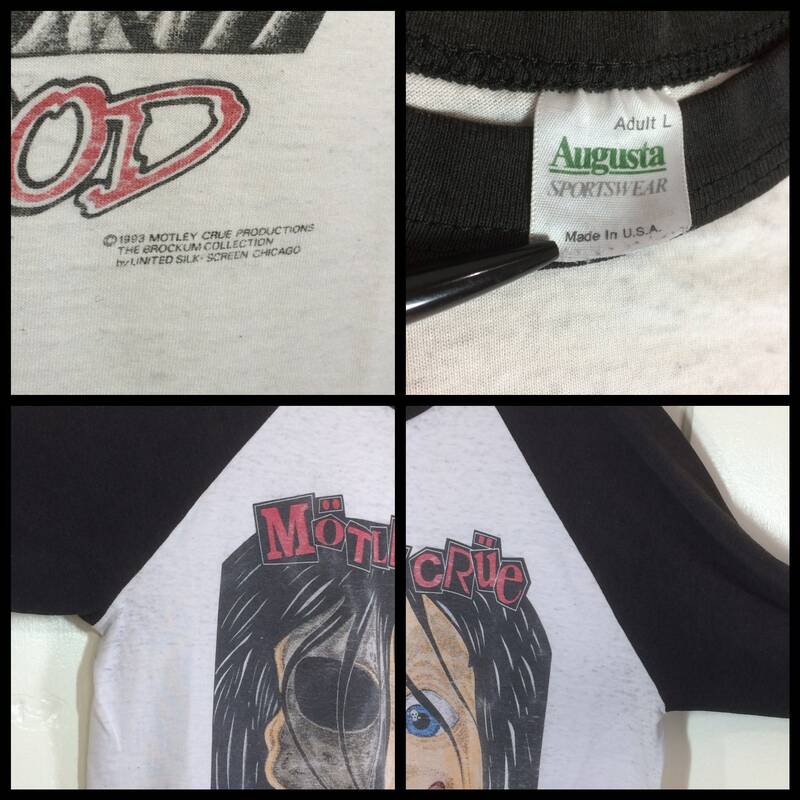 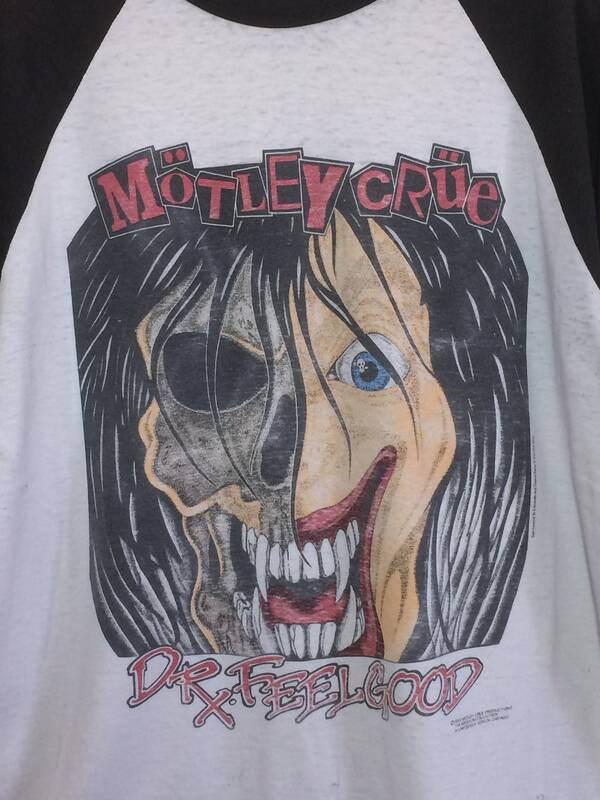 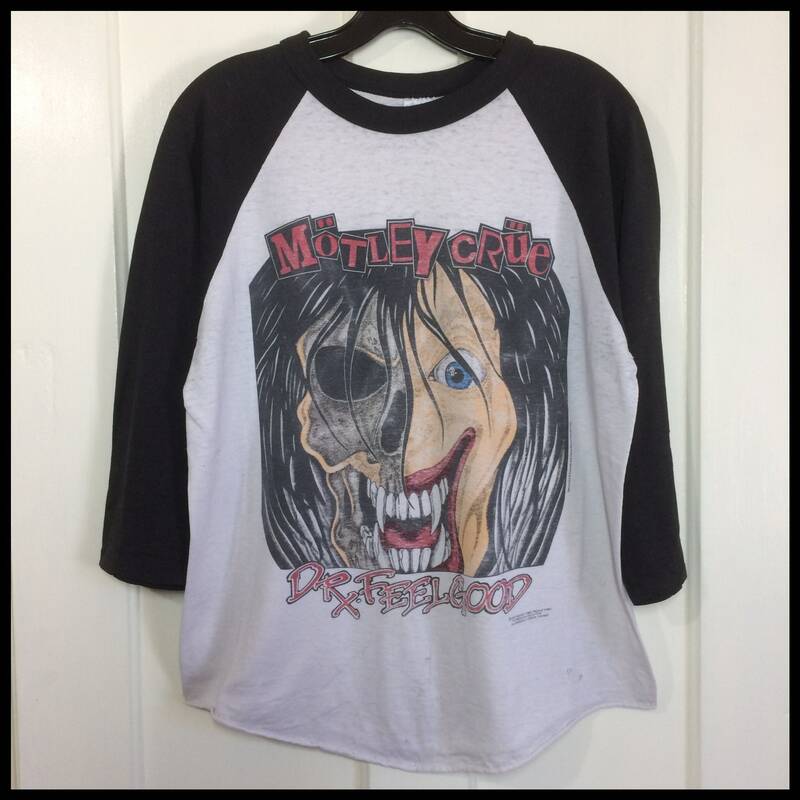 Here's a Motley Crue t-shirt from the 1990's, dated 1993. 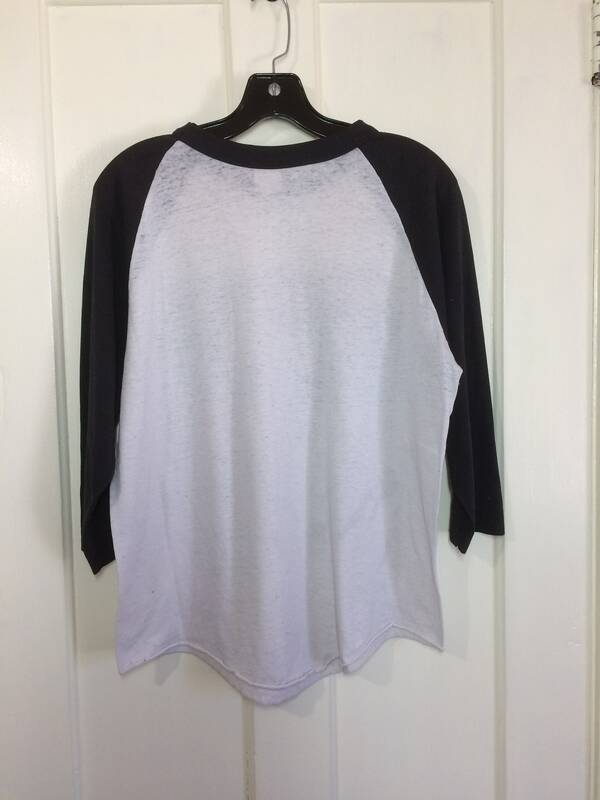 It's worn paper thin and has 3/4 length sleeves. 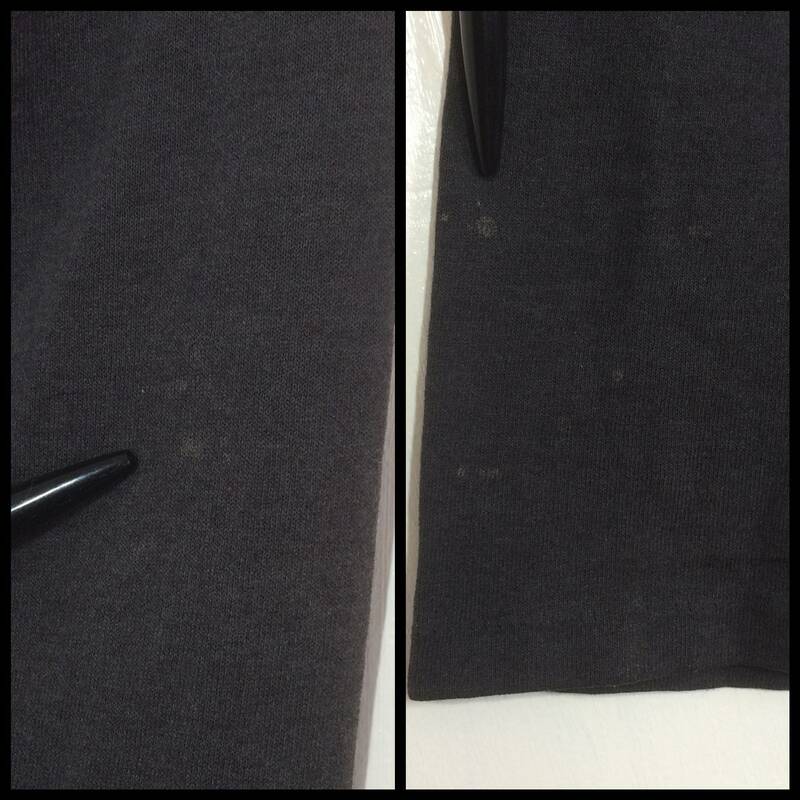 There's some light spots and holes towards the bottom, small bleach marks on the sleeves and slightly pilly in some areas, see photos. 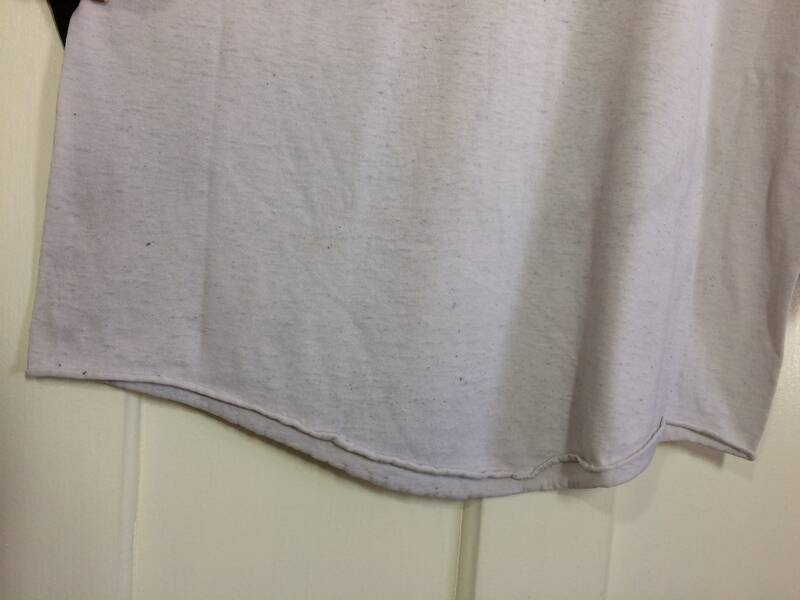 It's worn extra thin by the armpits and upper back. 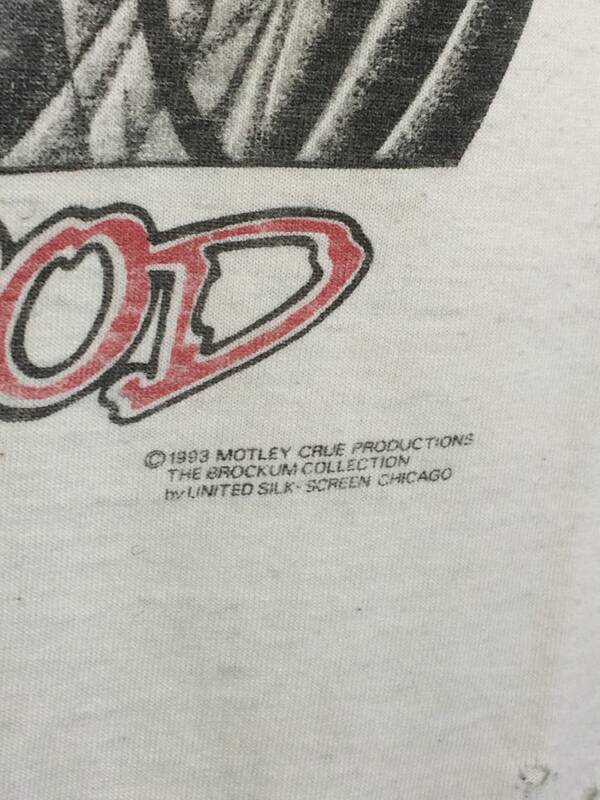 It's in distressed, very used vintage condition. 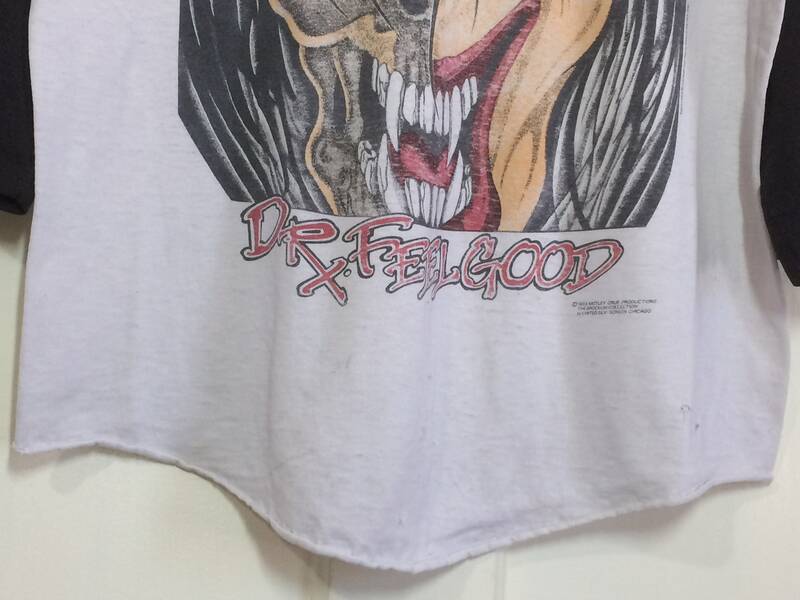 24" long from back of the neck to the bottom.